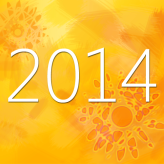 2014 – What does it mean to you? There was already way too much noise on the “Interwebs”. Nothing that I would say would make an impact. I thought I’ll write this at the end of Jan after the euphoria of the new year has worn out and people have settled into their lives. Like everyone, the beginning of a new year is a magical time. It brings with it the promise of a new start, a chance to let go of the past, and to make a real, permanent change in our lives for the better. No, not physically. I’m talking about bringing your mind home. Another decade goes by and we begin to miss it. We coin a new term for the time when it was home. “The good ol’ days” is one that pops up most frequently. But the one we stick with is “The end of our childhood“. I spent a fair bit of time thinking about this and came to the realization that we’re deluding ourselves. There’s no finality to our childhood. Or that magical time? Who said there was? On what authority? Or have we simply absolved ourselves of the responsibility for what happens to us on to something “external”…. Something that’s not in our control. I’m not saying that it’s our fault for letting it go. Not at all. I’m saying we have a responsibility to ourselves to bring it back. 2013 was a tough year for me. Pretty much nothing went right. My personal life, relationships, work life, finances all took a hammering. That’s fine. I’m not complaining. If I’ve had some good times in my life, it’s only fair to expect some bad times. Despite understanding this very clearly, I was surprised that I was angry… a lot! And I don’t normally get angry; I’m not that kind of a guy. I had to figure out where this anger was coming from. I started thinking about this in late November. I figured I’d have this licked in a month. December came to a close and I was nowhere close to identifying what I wanted from the next year and what to do with my disturbed mindset. If anything, I was getting angry about not being able to figure out what made me angry. Does that make sense to you? When was the last time I was truly happy with myself as a person? Not any attributes such as money, career, health… but MYSELF? I pushed the rewind button… kept it pressed as I went back a decade… and then it became clear that the last time I was happy with who I was was when I was a kid… Maybe 16 or 17. I was fearless. I was optimistic. I was bulletproof. And then, of course, life happened and I allowed myself to be consumed by it. I don’t know what it will take but I will make sure that this year I travel back in time to find myself and to bring myself home. My instincts tell me that I’m going to have to take some big chances, perhaps even appear crazy to other people. But I’ve spent the past 29 years being like other people and how’s that turned out for me? So till I try, I’ll never know. Starting this morning… the journey begins. I’ve been scared of doing a few things… mostly avoiding relationships that may result in conflict. I’m touching base with those people today assuming the conflict doesn’t even exist. It’s what I would have done when I was 16. If you’ve had any success at this, I’d be happy to know. Leave your comments in the box below. Enter your email address and get the latest posts delivered right to your inbox.